The second international break of the season is here (stop booing down the back), and there is a meaty schedule stuffed to bursting with Nations League and friendly matches, each with their own delicious markets waiting to be devoured by ravenous punters. As always, FST is here to help, and we’ve saved you a spot at the front of the queue for the buffet. Below we’ve complied a list of anytime goalscorer options to consider ahead of this week’s international programme. Read More: Check out all of our expert UEFA Nations League match previews, predictions and betting tips here. Fulham centre forward Aleksandar Mitrovic is expected to spearhead the Serbia attack in their Nations League C Group 4 fixture against Montenegro this evening. The 24-year old has had a terrific start to his individual Premier League campaign, netting 5 goals in 8 games for the Cottagers since their promotion from the Championship. Mitrovic scored twice for Serbia in their last international fixture against Romania on September 10th in a pulsating 2-2 draw. This week, Mitrovic will be pitting his wits against a Montenegro side who have kept just 2 clean sheets in their last 8 home matches. FC Rostov star Aleksei Ionov is likely to be heavily involved in everything positive Russia do in attack against Sweden this week. The 29-year old has added much more goal threat to his game this season and Ionov is on a run of 6 goals in 9 games for club and country. 2 of those goals came in Russia’s impressive 5-1 win against the Czech Republic in their international friendly meeting last month. The second of Ionov’s goals at the Rostov Arena on September 10th was a converted penalty and the attacking midfielder could be on spot kick duty again for Russia against Sweden, further enhancing his chances of getting on the scoresheet. 23-year old Krzysztof Piątek is one of Europe’s most in-form strikers at the moment. The Genoa frontman has scored 9 goals in 7 Serie A appearances this season and his performances have sparked excited debate about the possible impact Piątek could make on the international stage. Piątek had his first taste of senior action for Poland in their friendly against the Republic of Ireland last month and the former Cracovia starlet will be keen to open his international account this week. The emergence of Piątek as a goalscoring threat would help also to alleviate some of the pressure on Robert Lewandowski. The Bayern Munich forward hasn’t scored in any of his last 4 games for Poland. New Chelsea Manager Maurizio Sarri has breathed new life into Eden Hazard this season. Fully relieved of the restrictive defensive responsibilities placed on him by Antonio Conte, Hazard has been free to express himself to his creative maximum. With the shackles cast aside, Hazard has scored 7 goals in 8 Premier League games for Chelsea, putting him top of the competition’s goal scoring charts. 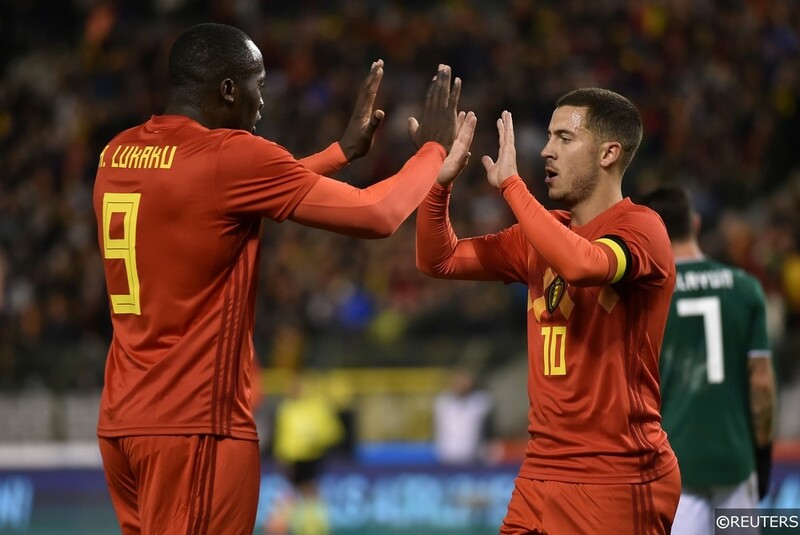 At international level, Hazard has scored 3 in his last 3 for Belgium and the 27-year old looks a great bet to add to that tally against Switzerland on Friday. Fresh from 2 goals against Watford for Bournemouth at the weekend in the Cherries’ fantastic 4-0 win at Vicarage Road, striker Josh King will be full to the brim of self-belief this week. Injuries have curtailed King’s involvement for Norway a little this year, though the pacey frontman has scored 7 times in his last 11 appearances for his country. King’s performance against Watford wasn’t a flash in the pan display either – the 26-year old has been in sparkling form in the Premier League in 2018/19, netting 4 goals in 8 appearances in the division so far. King has already scored half the number of league goals he hit in the entire 2017/18 season and he looks odds on to smash that total (8) this term. On Saturday, King comes up against a Slovenia defence that has kept just 1 clean sheet in 7 matches. King is also Norway’s regular penalty taker. This might seem like a blatantly obvious selection, but Kylian MBappe’s inclusion in our anytime goalscorer list was a certainty given the prices available for him to find the net against Iceland this week. Teenage sensation Mbappe has scored 4 times in his last 6 starts for Les Bleus and the wonderkid has been similarly productive at club level for PSG. Mbappe has scored 6 times in his last 4 games for the French champions, a run that includes a 4-goal haul against Lyon just last weekend. France’s opponents Iceland conceded 9 goals in their recent brace of Nations League fixtures against Switzerland and Belgium, and tonight they come up against the buoyant World Cup champions on their own patch. 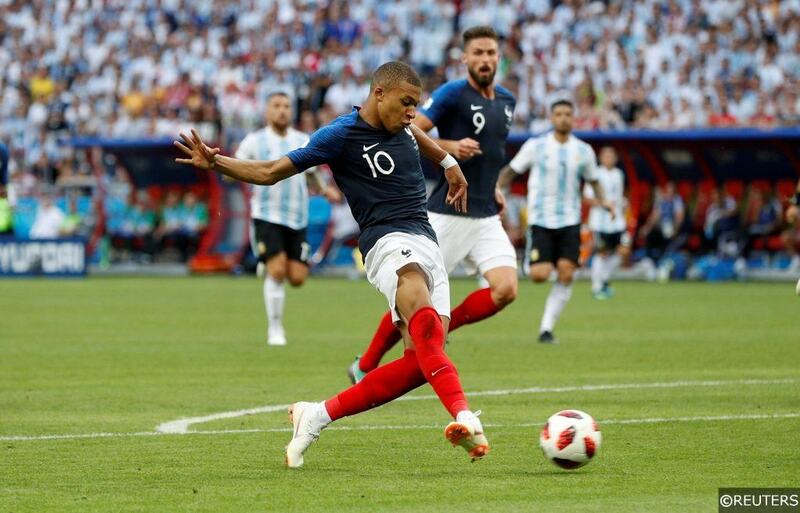 Les Bleus look certain to record a big win and MBappe should be at the business end of their attacking play throughout. Get in touch with us by emailing us at [email protected] or tweet us on Twitter @FootySuperTips. Categories: Betting Strategy, Blog, and Football. Tags: anytime goalscorer, International friendly, and Nations League. Team Tag: Belgium, France, Norway, Poland, Russia, and Serbia. League: UEFA Nations League. Sports: Football.